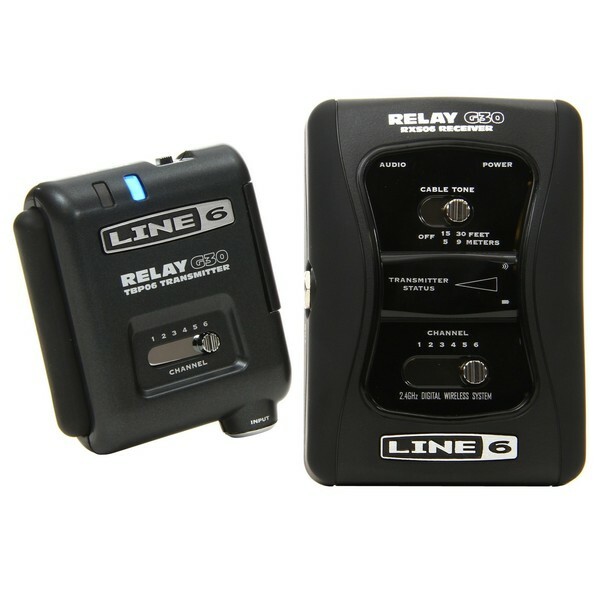 The Line 6 Relay G30 Wireless Guitar System redefines the wireless experience for guitarists and bassists. Designed for the musician who favours their pure tone, the G30 delivers the same tone as a standard cable, while its digital technology keeps the signal clear. Operating in the 2.4GHz ISM Band, and featuring encoded DCL technology, the system ensures the integrity of your signal. 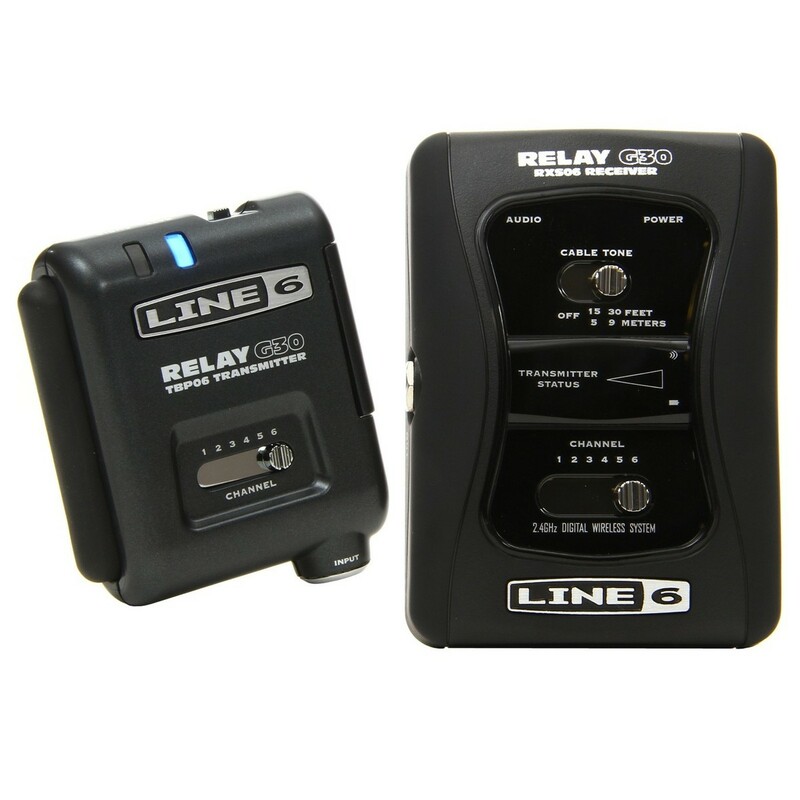 Delivering unparalleled sound quality and an easy-to-use setup, the Line 6 Relay G30 offers the freedom of a wireless system with the crisp, clear tone of a cable. The Relay G30 is designed for the musician who values their pure tone, delivering unparalleled sound quality for a pure signal and incredible clarity. The system matches the unique character of standard cables, while the digital technology ensures the signal remains noise free. With its broad frequency range from 10Hz to 20kHz, the G30 features a superior 118dV dynamic range and a compression-free broadcast to give guitars a beautiful high end sparkle, and basses a thundering low end punch. 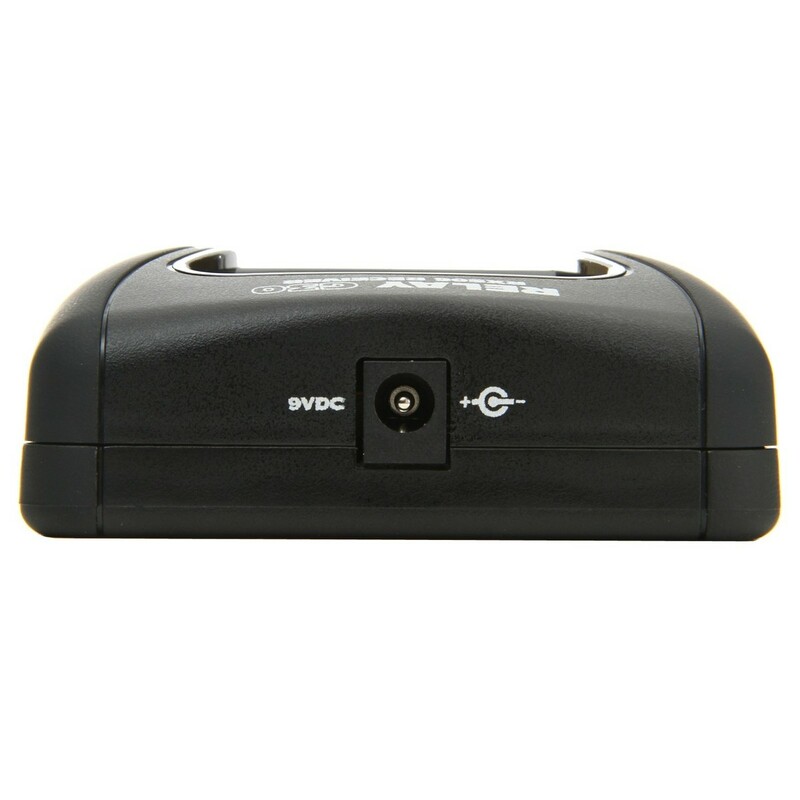 It also provides a crucial touch response that many other wireless systems lack. 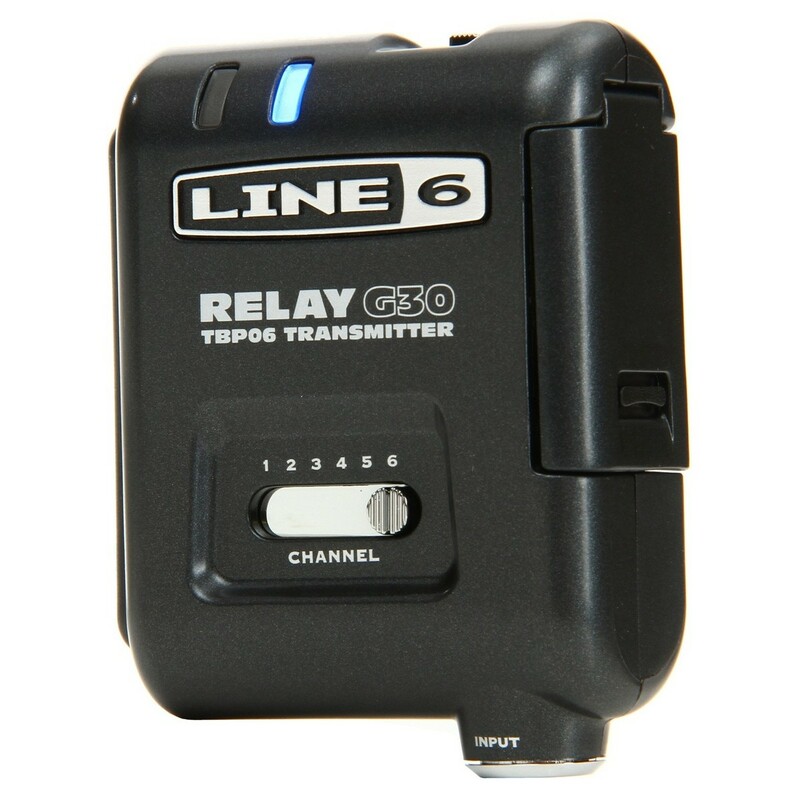 Unlike traditional analogue systems, the Relay G30 operates within the 2.4GHz ISM band, eliminating the possibilities of TV broadcasts, white space devices, or other sources to interfere with your audio signal. The Relay also features encoded DCL technology to help distinguish your audio from other third party signals, ensuring the integrity of your signal. The system also delivers a consistent and dependable wireless signal quality, letting you venture the to its furthest distance without losing your tone. 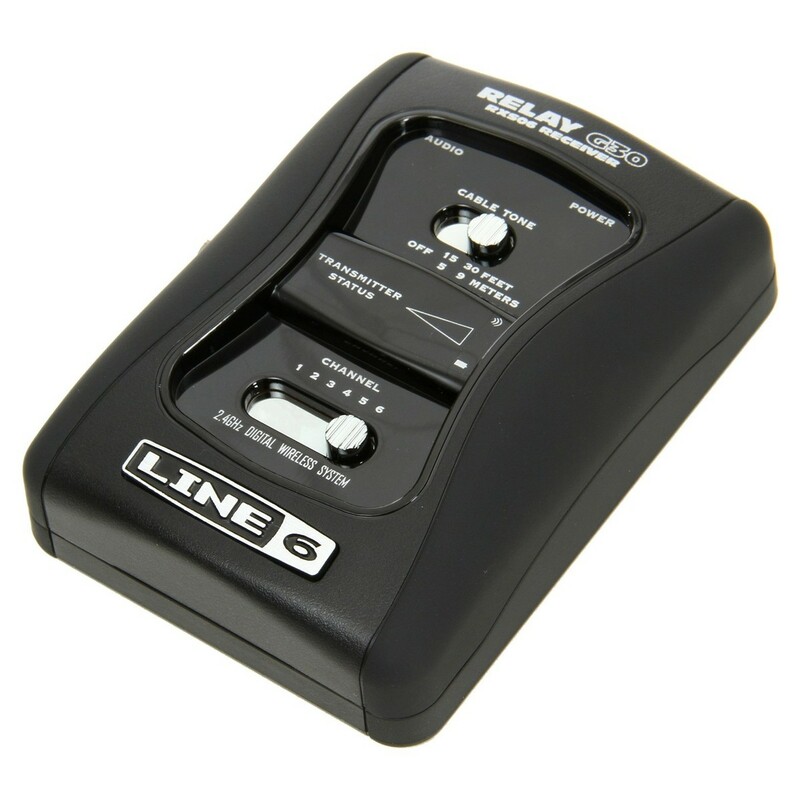 The Line 6 G30 is built to be compact and portable, letting you carry it without hindrance. The TBP06 transmitter is small and discreet, letting you simply hide it away, and the receiver can simply sit on your amp, or added to your pedalboard. The LED display’s are clear and easy to read, while the simplistic controls allow for a quick and easy setup.